From Whatsapp, Uber, Instagram and Snapchat etc. it can sometimes feel like we spend our lives going from app to app. While it goes without saying that you should never use your phone when driving, did you know that there are lots of apps available for young and new drivers that can help ensure you drive safely on the roads. We’ve rounded-up some of the best. A free app for Android devices, DriveSafe.ly reads text and email messages out when driving, so you don’t feel the need to touch your phone. Missing out on the latest gossip or change of plans can be disastrous, but this app keeps you socially connected and in the loop no matter how long your drive. Your mates won’t feel like they’re being ignored either, with the option to set automatic replies (such as ‘driving, will reply when home’). Imagine having your own robot driving instructor providing feedback on every trip you make. That’s basically what Flo Driving Insights does. Free to download, it uses GPS to record all your trips and provide instant feedback, whether you’re speeding, braking too hard or accelerating effectively and driving safely. You can check back on previous journeys to see where you need to improve and what you are doing well. Each trip gives you a score and, according to Flo Driving Insights, if it’s good enough you can even get a discount on your car insurance. Best experienced if you have an accompanying VR headset for your smartphone, this driving simulation provides a realistic experience of what happens when playing on your phone while driving. Spoilers: it’s not pleasant. It’s not just being on your phone, the app shows real consequences of doing your make-up while driving, shaving and all sorts of other ridiculous yet real situations some drivers find themselves in. Another of the many drive apps that blocks using your phone while driving, LifeSaver automatically detects when you are behind the wheel and prevents phone use. If your mum or dad are always nagging to let them know when you arrive at your destination, connecting with them via the driver portal does this for you. Plus, optional rewards can be set up for every instance of safe driving behaviour, which is great for encouraging young and new drivers to drive safely. Not all safe drive apps have to be used when on the road. The official DVSA highway code app is great for touching up your knowledge when you’ve got a few minutes to spare at home, work, on the bus, or anywhere that’s not behind the wheel of a moving car. Even though it costs £3.99, it’s worth the price. Read up on specific sections, check you know exactly what every road sign means and test yourself with the fun quizzes it includes. Parents rejoice! You can now get full visibility over your kids’ (and other halves’) driving habits with the free TrueMotion Family app. Journeys are tracked so you can see where everyone is driving and how, giving a score out of 100 at the end of the trip based on distracted and aggressive driving. Turn it into a competition and dish out rewards for those who drive safe at the end of each week. You may even be surprised with the results. 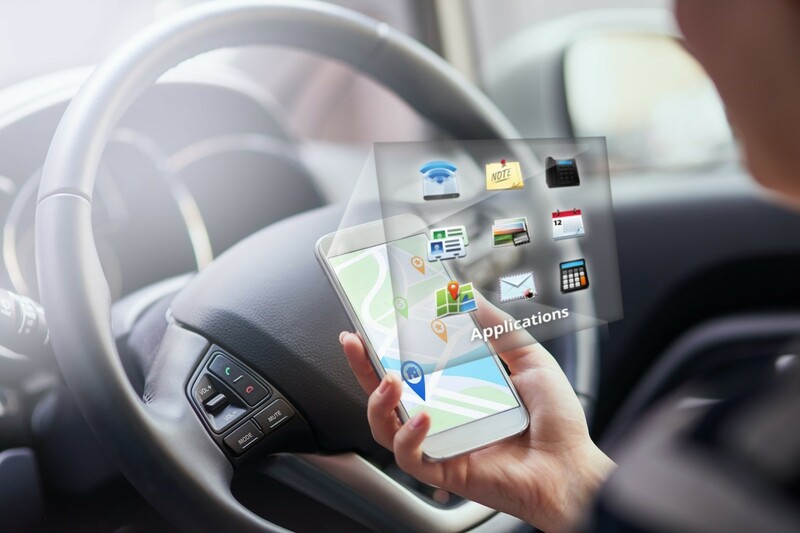 If these drive apps have given you the inspiration to be a more responsible driver (hopefully they have) then check out some of the best cars for a safe drive in our wide selection of quality used cars.